Canadians are born to love the sport. I find this a little annoying. But I do understand that most Canuck kids grow up knowing all about ice rinks and blades and Zamboni machines. It’s in our blood. 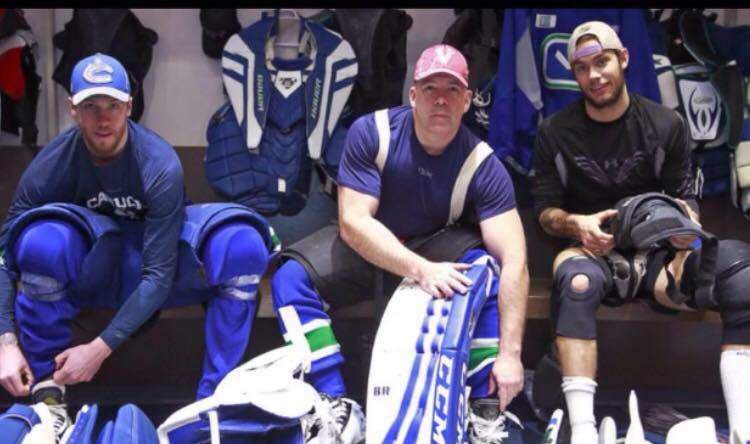 I don’t like hockey but I like great stories. This weekend I watched a Canadian boy’s dream come true as he was signed to a NHL team. The reason I heard about it was that I know this boy. What made it a great story is that he’s now 44 years old. 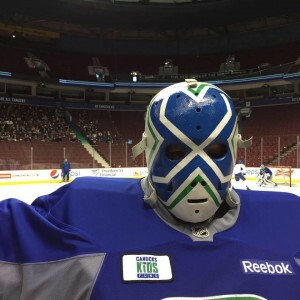 The Vancouver Canuck’s oldest rookie. Scot and I worked together on the Kokanee Beer account at an advertising agency. He was young, impressive and very enthusiastic. He was one of the many creative people that came through those ranks. It’s been fun to watch how their lives have played out. That agency and account kick-started many stars. Scot went on to play many major roles in the advertising industry. Each time our paths have crossed he’s been the same person I met so many years ago. There is always a smile on his face. 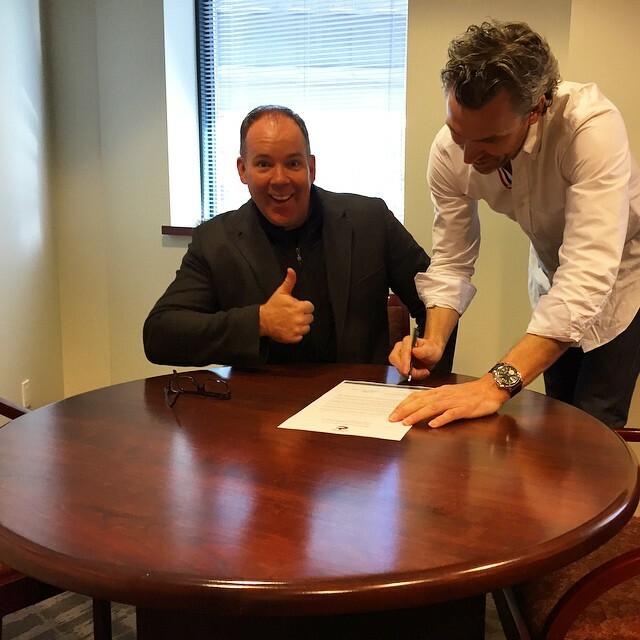 That smile was never as big as it was at his “signing” this past weekend. I’m blessed to know some people that are living their dreams. Like Scot, they have busted their butts to make it happen and now reap the rewards. Standing next to them is like being meshed in the pages of a “self-help book.” Inspired, in awe, maybe a little jealous, but mostly cheering them on. The people I know are all great role-models and mentors. Scot’s story just confirmed it. And for a few hours I was a hockey fan. 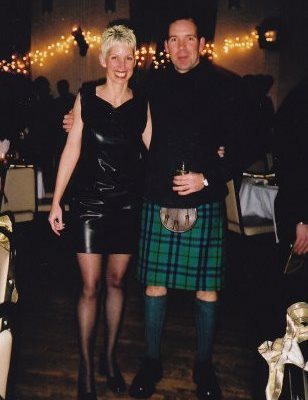 I can’t believe you actually have a picture of you and Scott with him wearing a kilt! I got teary eyed reading the story and looking at the pics – good for Scott!! I remember him as always being kind and good humoured and incredibly full of life. His smile in the signing pic really does say it all. I’m so happy for him. And I love your story. Even though I’m not that fond of hockey either.